How much does a loft conversion cost in Edinburgh? Considering a loft conversion? Most people do because it increases the size of their home without the expense of moving house. The cost of a loft conversion will certainly be cheaper than moving once you consider valuation fees, surveyor’s fees, legal fees, estate agent fees, stamp duty, home reports and removal fees etc. Not only that, you also get to keep the same neighbours, schools and local amenities. 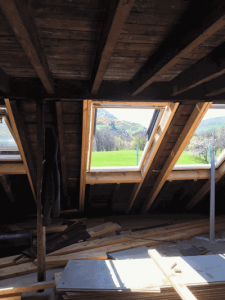 Distinguishing the cost of a loft conversion in Edinburgh compared to elsewhere is important as the cost varies throughout the UK from city to city. The cost also depends on the type of dwelling. To provide some useful information here are some rough estimates of what it might cost to convert your attic or loft. It is impossible to provide accurate details as it varies from home to home depending on the type of living space that is desired. With the caveat that this is an estimate, a good guide price to use is £1000 per square metre. Therefore, adding an extra bedroom and a bathroom to your home, might cost between £20 000 – £25 000. It obviously depends on how accessible the loft is, how many windows you want, the quality of the finishing you require e.g. bathroom fittings, flooring etc. Tenements are common in Edinburgh and those living at the top have the advantage of being able to convert the attic into extra living space. This is a great area to convert into another bedroom or study and will add value to your home. Furthermore, a well-designed conversion can provide amazing panoramic views of the city and be a real asset when it comes to moving. Being on the top floor of a building will offer some technical issues during a conversion so the cost might be higher than in a traditional ground dwelling. The cost for a tenement conversion also needs to include a sprinkler system. Regulations are in place about the risk of fire and escape in a multi-dwelling, and this itself will cost around £5000. 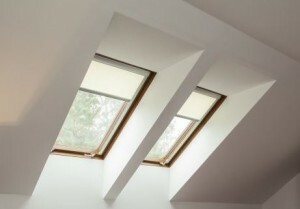 Installing a Velux window is a cheaper way of adding some headroom and light into an attic or loft. A window itself can cost between £350 and £700 depending on the size and flashings. Once installed, a roofer may be required to slate the roof. Velux windows rarely need planning permission unless the building is located in a conservation area. In a typical tenement conversion, installing 5-6 Velux windows is an affordable way to add space and light into an otherwise unused space. To be able to compare the cost of converting a loft with that of moving house you need some hard figures. We are able to come out to your home and provide a free no obligation quote. This will make it easier for you to assess what is right for you. Call Steven or Craig on 0131 478 7079.